What is the meaning of ray in geometry ? 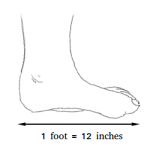 In geometry, a ray is a set of points that is part of a line. A ray has one endpoint and extends in one direction with no end or infinitely. 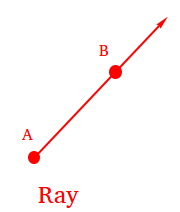 The symbol that you see below can be used to refer to the ray above with endpoints A and another point B on the ray and it is read as ray AB. A number line that starts at 0 is a ray. Light leaving the sun and traveling into space forever. The light from a flashlight.